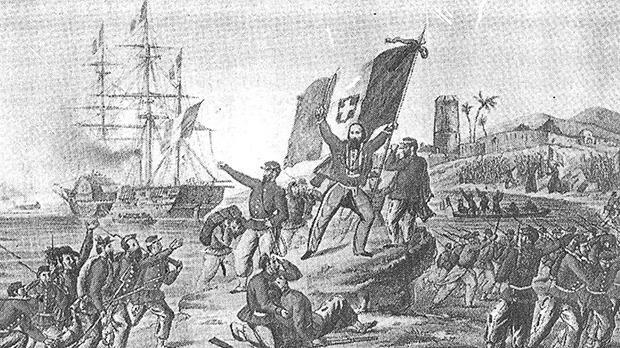 A contemporary lithograph showing Garibaldi’s virtually unopposed landing at Marsala, Sicily, in 1860. Garibaldi is here seen bearing the flag of Vittorio Emmanuele II – the tricolour red, white and green of revolutionary Italy, on which is superimposed the white cross of the House of Savoy. Undoubtedly, the mere mention of the unification of Italy in the 19th century conjures visions of Giuseppe Garibaldi, the soldier-patriot who selflessly did so much to further the unity of his homeland. Initially, his efforts were unsuccessful – the 1848 Roman Republic is an example – but his great success in Sicily and southern Italy with his legendary mille (The Thousand) paved the way for their incorporation in the Kingdom of Italy in 1861. A painting depicting the virtually unopposed landing of Garibaldi and his mille at Marsala, Sicily, in 1860. 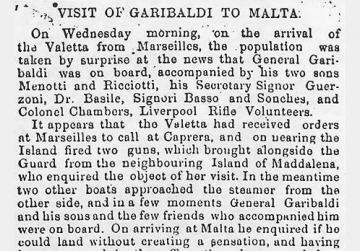 Three years later, when he was 57 years old, Garibaldi arrived in Malta for a two-day visit when he was at the peak of his fame. He arrived on March 23, 1864, and his visit is the subject of this month’s anniversary story. In the early hours of Wednesday, March 23, during Holy Week, the paddle-boat Valletta of the P&O Lines steamed into Marsamxett Harbour from Marseilles en route to Alexandria. On board, there were Giuseppe Garibaldi and his two sons, Menotti and Riciotti, who had embarked from their island of Caprera two days previously to go to England. Garibaldi took up lodgings at the Imperial Hotel, Valletta, later known as St James Hotel, situated at 134, St Lucia Street. It was demolished through enemy action in World War II and a cinema was subsequently built in its stead. Giuseppe Garibaldi, a hero of the Italian Risorgimento, from a photograph. 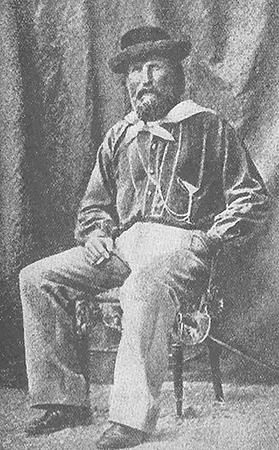 Garibaldi intended to have a quiet 36-hour stay in Malta before proceeding on his way to Southampton. At this time, he was still suffering from a wound he had received at the Battle of Aspromonte, and, in fact, he spent his whole stay confined to his hotel. However, news of his arrival soon leaked out, even though the populace at large was taken by surprise. 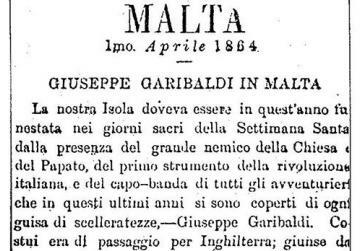 From the reports in the Maltese press – including The Malta Times and United Services Gazette of March 14, 1864, L’Ordine of April 1, 1864, Il Mediterraneo of March 26, 1864, and Il Portafoglio Maltese of March 26, 1864 – one gets the impression that Garibaldi and his sons got a mixed reception. The press comments varied from “illustrious traveller”, “the Italian hero and patriot and the most distinguished defender of liberty in Europe”, “the noble general”, “an honest and good man”, “the fountain-head of all that is noble and generous – an Italian lion” and l’eroe italiano” on the one hand, to completely opposite epithets, which included “un’avventuriero”, “nemico del papato, della Chiesa e del di lei Vicario, e quindi imicissimo ai Maltesi, essendo questi un popolo eminentemente cattolico”, and “il masnadiere”. What actually happened was that, after Italian unification was accomplished in 1861, almost all the liberal refugees in Malta left to return to their homeland. However, their place was taken by their adversaries, mainly Sicilian adherents of the ousted Bourbon reigning family. It is estimated that, in 1864, there were about 200 such refugees living in Malta and it was this element that provided the main opposition. They were backed by the ultra-Catholic opinion that regarded Garibaldi as the arch-enemy of the Pope, since the latter had been shorn of almost all his temporal power. 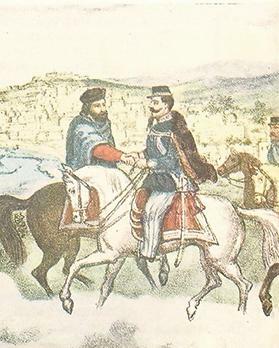 However, by and large, Garibaldi’s unexpected visit was acceptable to the majority of the local population – those who cared about politics, naturally – and he was well-received by Maltese liberals and the English garrison and residents. A steady flow of courtesy calls was the order of the day during Garibaldi’s short stay on the island. 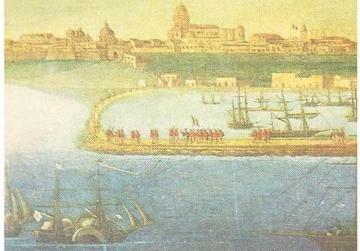 Nicola Fabrizi, an active anti-Bourbon Italian revolutionary who had resided at Valletta since 1837, together with Baron Emilio Sceberras – an acquaintance of Garibaldi’s – introduced the visitors, who included, among others, General Atherley, the Secretary to Government Sir Victor Houlton, Judge Bruno, the Marquis Testaferrata Olivier, Baron Testaferrata Abela, Baron Sceberras d’Amico, Nicolò Papaffy, Baron Ramiro Barbaro di San Giorgio, Dr Zaccaria Roncali and the elected members of the Council of Government. Garibaldi also went out on the hotel balcony to salute the assembled crowd. Actually, his opponents had started to hiss and boo, but respectable people, even though they held different political opinions to Garibaldi’s, did not allow such unseemly demonstrations to take place. In fact, his appearance was greeted with a general clapping and cheering. Garibaldi relinquished his conquests to King Vittorio Emmanuele II, of the ruling House of Savoy, who he had met at Teano in 1860. On the evening of the first day, Garibaldi’s son, Menotti, accompanied by several Maltese and English friends, accepted invitations to visit the Casino della Borsa and the Casino Maltese. He also visited public places where he was very well received and cheered by all present. Garibaldi was scheduled to leave Malta on Maundy Thursday, March 24, 1864, early in the afternoon. Prior to his departure, an address signed by about 300 signatories was read by Baroness Testaferrata Abela to express sentiments of respect and affection for the Italian hero. Large crowds gathered to bid farewell to Garibaldi when he left his hotel. At that moment, Garibaldi was visited by the wife and daughter of Admiral Austin, who offered him the use of their carriage to take him to the quay of Sa Maison in Marsamxett Harbour. Garibaldi accepted the offer and the carriage proceeded to the embarkation point by a different route to avoid the crowds who thronged the main streets to get a glimpse of and salute Garibaldi. 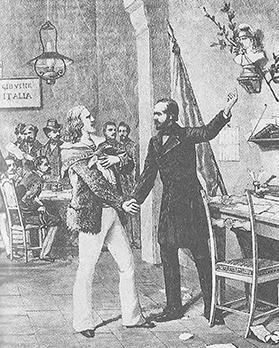 A young Giuseppe Garibaldi meeting Italian patriot Giuseppe Mazzini in 1831. On the other hand, the report of L’Ordine makes very different reading. It was reported that no carriage could be found to be hired to take Garibaldi to the quay and so he had to make do with a private one, and that only a small party of about 30 to 40 people bade him farewell from a tugboat. Moreover, these supporters – or Garibaldini as they are termed – were also, according to this newspaper, booed and hissed at when they returned to land. Thus came to an end the very brief sojourn in Malta of one of the best known heroes of the 19th century. The necessary arrangements for his short stay had been made by an English gentleman who preferred to remain anonymous. On March 29, Garibaldi reached Gibraltar where the steamer stayed for only a few hours. He arrived safely in Southampton on April 3. Dr Joseph F. Grima, a casual lecturer in history and former assistant director of education, includes among his publications The Fleet of the Order of Malta – Its Organisation during the Eighteenth Century and Żmien il-Kavallieri f’Malta 1530-1798. 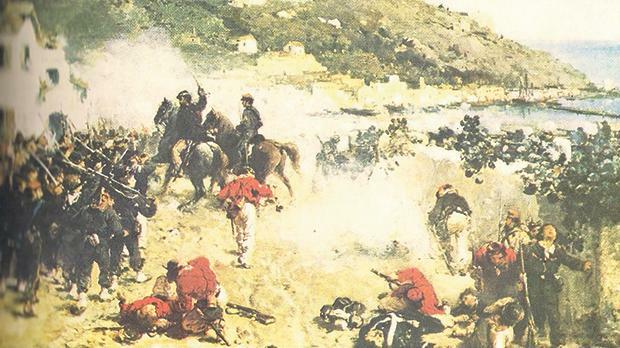 The Battle of Milazzo, won by Garibaldi, which practically ensured his capture of Sicily from the reigning Bourbon family.